This fantastic comedy combines five of my favorite things: Cary Grant, Roz Russell, Howard Hawks, journalism and Ralph Bellamy losing the lady. It’s one of the films that made me fall in love with Cary Grant, and I fall in love with him a little bit more every time I watch it. Great performances are given all around; it’s one of the best classic comedies. If not for a TCM shop discount special, I never would have discovered this gem. Lucy and Desi are best remembered by the general public for “I Love Lucy,” of course, but their films together are just as fun and this is the best of them. The Long, Long Trailer is an absolute riot that had me laughing out loud (and getting strange looks from my fellow university library patrons. At least I was smart enough not to watch it on the silent floor!). Yet another comedy — surprise, surprise! The entire collection of comedies produced in the 1930s and 1940s are some of the most re-watchable films in existence, and I love a whole lot of them — but I love this one even more than most. Claudette and Don are so fantastic, and the premise more than reaches its potential for wacky, silly mishaps that the characters must contend with. 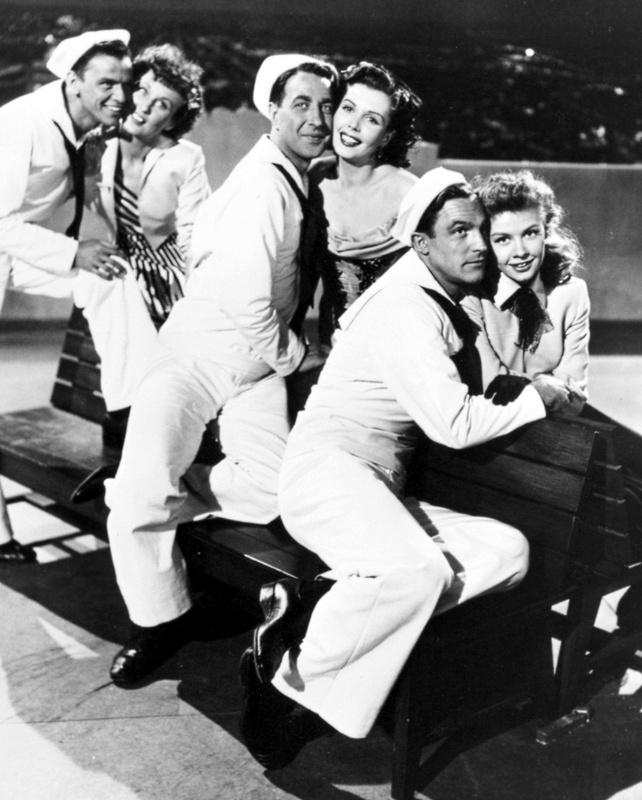 On the town is absolutely my favorite musical of all time. The wonderful ensemble cast “paints the town with joy” (that poster doesn’t lie!). From the songs to the costumes to the completely adorable couples (I’m looking at you, Hildy and Chip), it is absolutely impossible to find anything to hate about this film. This and Hitchcock’s To Catch a Thief are the two films that I can put on, no matter how bad my mood is, and feel instantly better by watching. So many movies to see, so little time. Really enjoying this series, Lindsey. Thank you! There’ll be one more installment coming at the end of the month. I’ve got a few more fun lists planned after this one’s finished, too. I’ll be that one guy that says I haven’t seen any of these. Also, is there a new design about on the site? See them! :) If you watch and hate them, you can put full blame on me ’cause they’re some of my absolute favorites. I haven’t done much with the design lately. I did add the photo links in the right-hand sidebar a while back and moved the widgets around on the front page, but that was the most recent update. I look forward to reading your thoughts on the ones you haven’t seen! I’ve only seen one of these: Midnight, which I thought was fantastic. 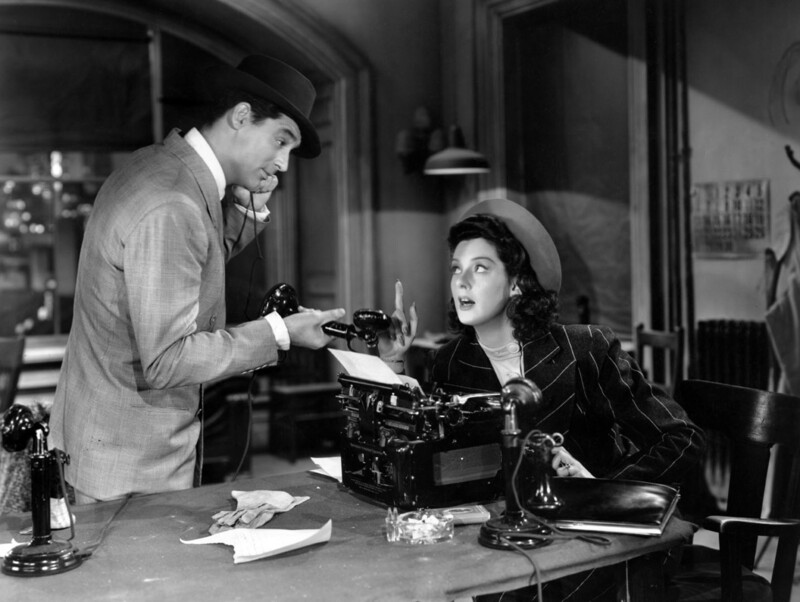 I’ll have to add His Girl Friday to my list, too! Or I guess I should add ALL of them, right? I mean, c’mon, you wouldn’t steer me wrong, would you? Add all of them! But definitely put His Girl Friday at the top of the list. It is one of the best from both Cary and Roz, which says a lot since they both made so many phenomenal films!